Ten thousand people a day become eligible for Medicare and will continue to do so at this rate for the next 18 to 20 years. Experts project the aging population to grow by 57 percent to roughly 120 million by 2040. The YMCA of the Greater Twin Cities (YGTC), a leading nonprofit dedicated to strengthening communities through youth development, healthy living and social responsibility, addresses the needs of the growing aging population with health and wellness programs focused on healthy eating, physical activity and social interaction. 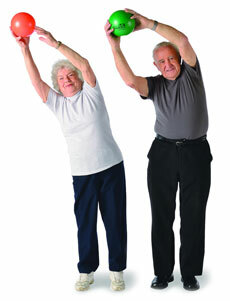 As adults age and chronic disease rates increase, their physical activity decreases. Only 41 percent of adults ages 65 to 74 participate in some form of aerobic activity, and that figure drops to 30 percent for those ages 75 to 84 and to just 18 percent for those 85 and over. The effects are even more severe for older adults in poverty, making healthy aging an issue of health equity. Rood adds that the Y also helps aging adults stay mentally and emotionally healthy. Research shows the social isolation facing many older adults—including more than 2 million over the age of 65 who suffer depression—has a dramatic effect on health and wellness. To break unhealthy patterns and create healthy behaviors, the Y incorporates both physical and social aspects of health and well-being into its programs and services. Offerings for older adults to live healthier include cardio classes like Zumba Gold and line dancing, group cycle, circuit training, arthritis water exercise classes, walking clubs, day trips, recreational activities like pickleball, brain fitness, yoga, chair-based classes to build strength, and educational sessions on wellness topics. Discover how they Y has helped 78-year old Beverly, who despite facing health challenges is thriving and giving back to the community – Beverly’s Story. Learn from Don about how participating in Y health and fitness programs has kept him physically and mentally strong at 95 years old – Don’s Story. See how Thelma and Geri have made a positive impact at the Y by engaging others to have fun and be active – Thelma and Geri’s Story. The YGTC participates in the Silver&Fit and SilverSneakers® programs for Medicare-age members and encourages people to check with their insurance provider to determine if they are eligible. As a leading nonprofit committed to helping older adults thrive, financial assistance is available to those in need to ensure every older adult has the opportunity to participate at the Y. ForeverWell.